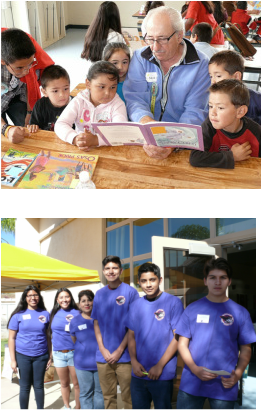 The Family Literacy event was launched in 2003 as a service project for 6th grade students from Live Oak Elementary School in Fallbrook, California. It was an opportunity to provide students with a lasting and meaningful service project while helping children achieve higher academic success. Research shows that the presence of books in a home can have as much an impact on a child's academic future as having parents with higher education degrees. * We launched the project to help families attain more literature in their homes and thus raise children ready to succeed in school. OUR FIRST YEAR, 35 students and adult volunteers served 65 children and 35 parents in the effort to build literacy awareness. Today we have over 150 students and adults volunteering each year serving over 500 parents and children! Children hear stories read by volunteer Guest Readers, and they go home with free new and gently used books. Parents attend workshops and also receive literature or resource books to help they support their children. Serve 350 children and families through a day dedicated to the importance of reading. Provide 225 parents with outstanding workshops on how to help their children become better readers and students. Engage 200 students and adults in meaningful service to their communities which will have lasting effects. 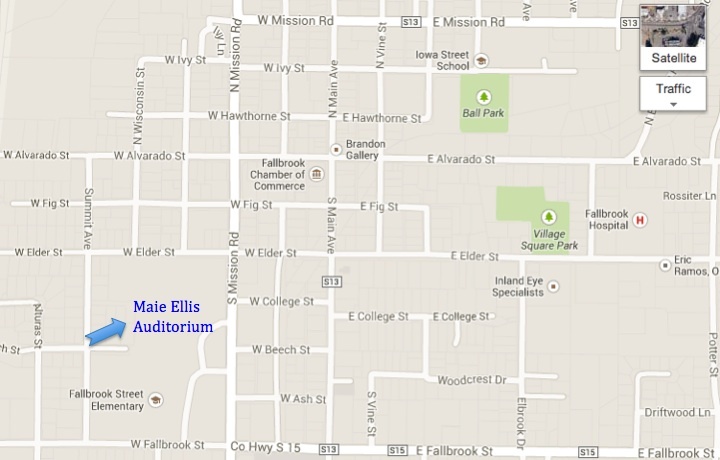 Place 2000 books in the homes of students in the Fallbrook area. Support our schools in educating children.